It’s time for another recap of what I’ve been doing around disability and the U.S. Elections, and what to expect between now and Election Day. In case you missed my earlier CDR blog posts click here to see them. 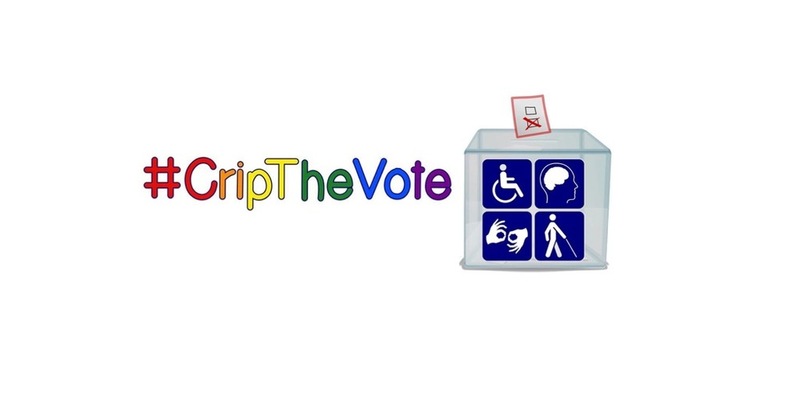 I don’t remember if I’ve said it here before, but let me say it now … #CripTheVote is the single most satisfying disability-related project I’ve ever been involved with. It’s hard to say exactly what the “outcomes” of it will be, but for once, I’m not too worried about it. It really feels like the process itself is its own reward. I have learned so much, and my thinking about disability in politics has evolved at triple speed since starting this project with Alice Wong and Gregg Beratan. It’s been an incredibly exiting and productive 7 months, and we’re now in the home stretch, so to speak, with Election Day in sight. Guest hosts Rock The Vote and the American Association of People with Disabilities. Guest host Rooted in Rights.